Sundial Lupine is a characteristic species of many sandy habitats across the eastern US. 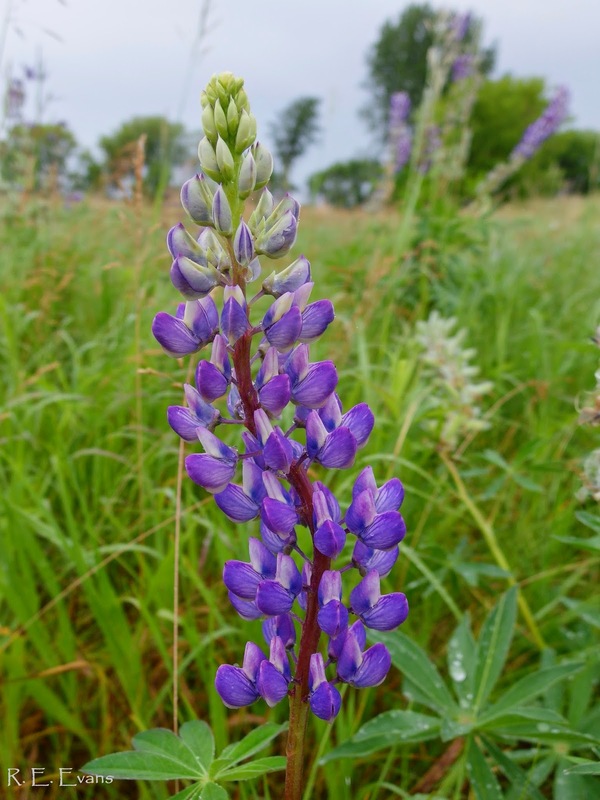 In former savannas and barrens of the upper Midwest, southern Ontario, extending into New Hampshire and New York this native Lupine is the only known host plant for the larvae of the Karner Blue Butterfly, a federally endangered species. With the loss of open habitats, lack of fire, and decline of host and nectar plants the butterfly remains in trouble with its fate inextricably linked to the Lupine. During June 2014 visits to the "Oak Openings" region of southeastern Michigan and northwestern Ohio I had my eyes open for this keystone species. For the most part, I was a bit too late to see extensive flowering; many of the plants I saw either showed no signs of flowering or were already in fruit, such as shown in the image below. Later, as I traveled northward to the Sanilac region of Michigan, where the sandy lakeplains had disappeared, I was surprised to see a couple extensive Lupine patches interspersed within the matrix of agricultural fields (see below). Of course I was hoping they were remnant savannas. 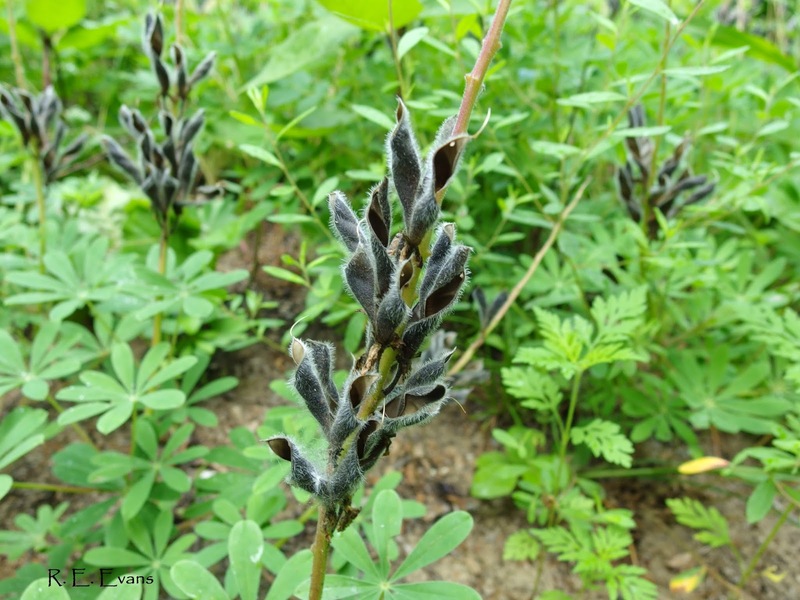 Unfortunately, upon closer examination, these plants had larger and more numerous leaflets and larger flowers than Sundial Lupine, and the leaflet tips were shaped differently. They turned out to be so-called Garden Lupines (Lupinus polyphyllus) which are not native to Michigan, but rather the Pacific Northwest. I noticed patches in 3 different locations where plants were clearly naturalizing and apparently had been present in non-cultivated margins of agricultural fields for some time (well away from existing homes). 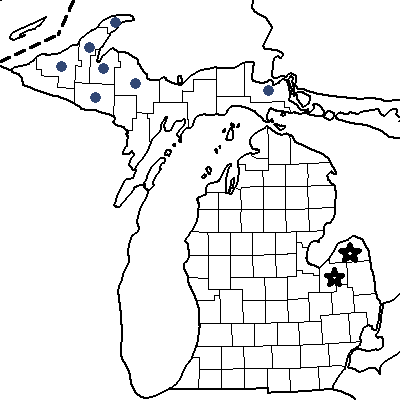 I consulted the Michigan flora online (http://michiganflora.net/) and found documentation for Lupinus polyphyllus only in the Upper Penisula of Michigan, relatively far from the "Thumb" region of my observations (Tuscola & Huron counties) near Lake Huron. Normally a range extension like this would be positive, but given the origin of these Lupines, not so much....at least they're pretty!